Welcome to my academic webpage. I am an associate professor at the Department of Computer Sciences and Artificial Intelligence at the University of Granada, Spain. I currently teach introductory programming to science and engineering students. I also teach biomedical informatics to future health professionals. My research involves the use of computational techniques -Machine Learning- to analyze large datasets generated in scientific and biomedical studies. My current project aims to use Artificial Intelligence models to improve the analysis of large genetic datasets: Big Data in Healthcare. During the last years I have worked on different research topics. All of them have a common core: the use of computational techniques and artificial intelligence to model physical and biological systems. Teaching at Higher Education is one my passions. I periodically devote some time to get training on how to improve my teaching skills. I also spend some time in the development of innovations in teaching. I focus in real world applications of teaching metodologies that have been shown to be effective. Automatic assessment tools in introductory programming courses. Our goal is to study the use of an automatic assessment tool –CodeRunner– in introductory programming courses. These tools assess exercises automatically and provide feedbak to students. Several studies have shown that these tools enhance students’ engagement and learning. Learning to program can be very difficult for students, since they must master language syntax, programming theory and problem solving techniques in a short period of time. Physical computing takes the computational concepts “out of the screen” and into the real world so that the student can interact with them, enhancing learning. Following this paradigm we used the Arduino board to develop several learning modules to teach programming to science and engineering students. Lecturers explain a computational concept and, afterwards, reinforce it using the physical computing modules. For example, conditional structures are illustrated using a photocell, etc. We have used these modules in several introductory programming courses for science and engineering students obtaining very good results: more students learnt to program and more students enjoyed programming. I’m also interested in the foundations of the scientific knowledge and the relations between science, technology and society. In the last two centuries science and technology have provided humanity with advances that could be only dreamed in the past. The consequences of these advances and its impact on society and the environment should be studied. In the last decades, a more critical awareness of the consequences of science and technology has arisen. This has propelled the study of their role in society. Although this is a wide field of study my main interest lies in the problem of the two cultures as stated by C. P. Snow (1956). 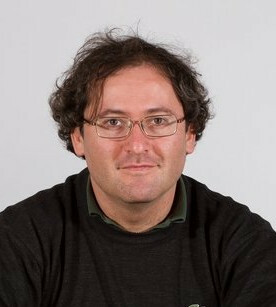 Currently I am an associate professor at the Department of Computer Sciences and Artificial Intelligence at the University of Granada. I teach programming to science and engineering students and biomedical informatics to future health professionals. My research involves the use of Machine Learning techniques to analyze and model scientific and biomedical datasets. My current project aims to use Artificial Intelligence models to improve the analysis of Big Data in Healthcare. My first steps in science took me to the field of solar energy research. I did my PhD at the Plataforma Solar de Almería. I’ve worked at the Center for Spatial Technologies And Remote Sensing (CSTARS) – University of California and at ESA’s European Space Research Institute (ESRIN) in Rome. Driven by my thirst for knowledge my academic wanderings have covered very different topics. I’ve obtained different degrees in Mathematics, Physics, Computer Sciences, Economics and Business Administration. In my spare time I enjoy reading, travelling and any outdoor activities you can think of. My usual suspects are hiking, alpinism, backcountry skiing and diving.